In the past, people were fond of using baking soda to clean their teeth. Heck, they even had to wear those ugly wooden dentures from time to time. Thank goodness, though, humanity has evolved. These days there are plenty of oral care products that help remove bacteria and plaque. More importantly, these products are safe and gentle to the gums. Sometimes, taking care of your oral hygiene becomes a burden, especially when you are away from home and out of your routine. Unfortunately, this practice can significantly compromise the overall health of your mouth. Here are some tips on how to take good care of your mouth and teeth despite how busy you could get. This is definitely the most important thing that you need to do, especially in the morning. Brushing can easily remove bacteria and plague that your mouth have accumulated overnight. And although you may have brushed your teeth before going to bed, cavity-causing plaque still thrives because of saliva tend to dry up. Keep in mind that your toothbrush should have a small head and bristles that are soft enough to prevent gum damage. Make sure you hold your brush at a 45-degree angle. Start at the same area every time you brush. Work your way around each of your teeth in turn. Remember to clean all faces of your teeth and do not forget to clean your gums (softly). Water is proven to be healthy for a person’s overall health. Interestingly, it promotes a healthy saliva production which is quite important for healthier teeth. Instead of drinking sugary sodas and drinks, resort to drinking lots of water. A general rule of thumb is to drink at least 8 glasses of water. Remember: Bacteria in your mouth use sugar to build plaque. The latter, if not treated, can lead to tooth decay. Just like brushing, flossing is also an effective practice that promotes proper oral hygiene. Just simply use a dental floss to clean in-between teeth, a place where plaque thrives. A good practice is to floss first before brushing. Keep in mind that around 90 percent of problems arise from said areas; hence it is so important to do dental floss. Hold the dental floss between your forefingers and thumb. Guide it gently between your teeth, but make sure it is in a soft sliding action. Gently slide the floss up and down, just between your tooth and gum. Repeat for every side and tooth. Contrary to popular belief, mouthwash products are still great for achieving a good oral hygiene. However, you should only use alcohol-free mouthwash. Otherwise, it could irritate and dry out your mouth. And eventually, this will reduce the quantity of saliva present, making your teeth vulnerable to plaque and bacteria. Mouthwash helps in reaching areas that neither brushing nor dental flossing could reach. Just simply rinse twice a day, once in the morning and once before going to bed. Apart from brushing your teeth, you also need to clean your tongue. One of the main reasons for bad breath is due to the bacterial build-up in the tongue. It even has a higher percentage of accumulating bacteria at the back. 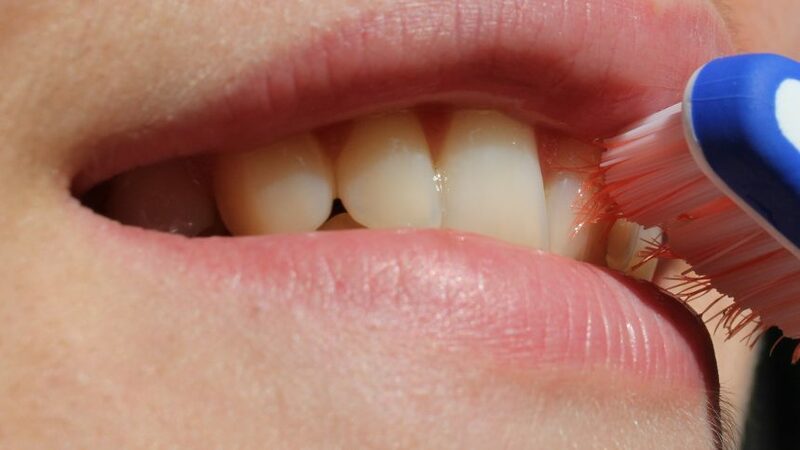 To remedy this, use a tongue scraper to remove any plaque build-up and freshen your breath. Although you can resort to brushing your tongue with a toothbrush, a tongue scraper is still more effective. This is without a doubt one of the most common mistakes people do from time to time. They just tend to visit a dentist when their teeth start showing problems. The best move is to see a dentist at least every 6 months. He/she can clean your teeth more thoroughly and, more importantly, check plaque and other dental issues. And if they are, he/she can easily advise you what to do to address the problem. Make it a habit to visit a dentist. Next → Next post: What is a Flexitarian and Are There Any Benefits?